Weddings are all about the rituals and ceremonies that the bride, groom and their respective families perform. But with the changing lifestyle, a recent addition in the marriages is the Pre Wedding Shoot that gives an opportunity to the couple to know each other and create wonderful bonding. The Pre-requisite of any Pre-wedding shoot is –The Destination. 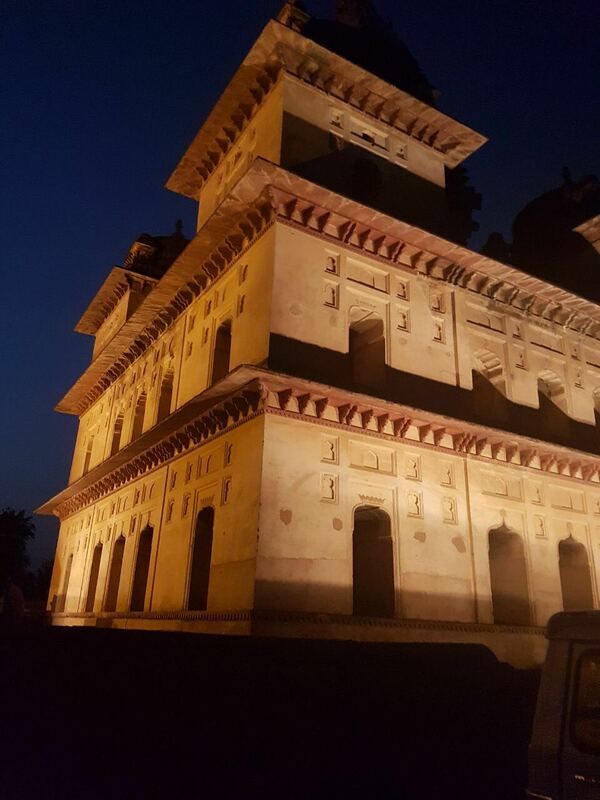 While every location has a distinct vibe that complements the nature of the shoot, but the mysticism of Orchha is unparalleled and no place can match the magnificence and the magic of Orchha for a Pre Wedding Shoot other than the Amar Mahal, Orchha. Amar Mahal, Orchha is one of the few locations where you don’t have to pre-plan your frames for Pre Wedding shoot cause you take any turn, there is a beautiful backdrop – spectacular cenotaphs, majestic arches, stone walls, preserved architecture, stunning poolside, lush green gardens as if coming right out of a fairy tale. The regal rooms, gazebos and courtyards make it an idyllic terminus for the couple to plan their pre-wedding shoots. Situated in the serene and architecturally rich town Amar Mahal captures myriad moods at different times of the day. The view when shadows create drama at midnight especially is magical. There’s grandeur, vibrant colours, panoramic views and always brimming with all the elements that one need to compose spectacular shots. Memories captured here are bound to be everlasting reminders of time spent in this beautiful destination. Much like the spectacular venues with magnificent backdrops, the pictures of Pre Wedding Shoot taken at Amar Mahal tend to be rather dreamy. 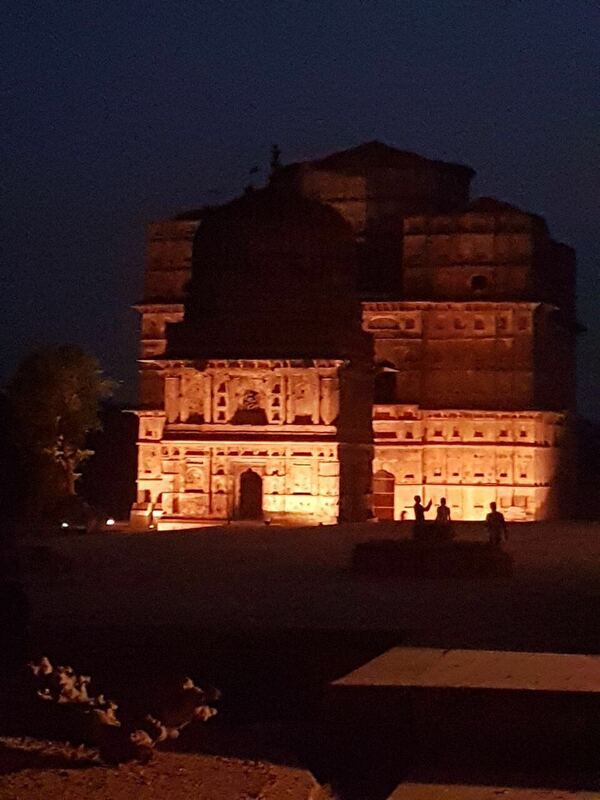 The landscapes, cenotaphs, heritage, never fail to inspire creativity and add to the personality of the photographs. 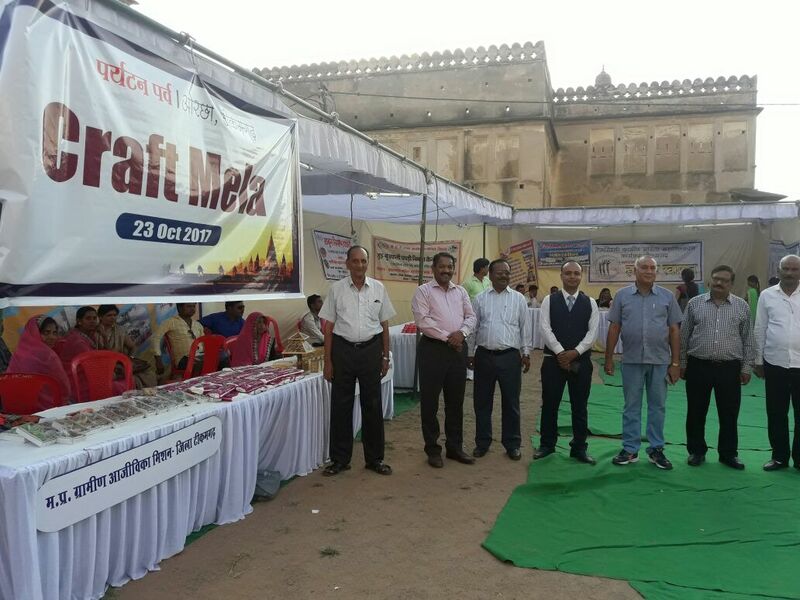 The backdrop of Chaturbhuj temple deserves a special mention for making every shot postcard-perfect! Looking for surreal Pre Wedding Shoot Destination and want to get Hitched and Clicked. Marriage is the joining of two people in a bond that putatively lasts until death. Weddings are once in a lifetime chance and you ought to make it memorable. India is considered one of the finest destinations to celebrate the communion of two souls and their families. Rich with its heritage, culture and traditions, who doesn’t like to celebrate their weddings like that of the erstwhile kings and queens. Making your wedding a memory to be cherished forever, a perfect destination does make a lot of difference to the whole wedding affair. Orchha is such beautiful destination that fulfils all the desires of couples & sets a fabulous mood for a perfect wedding. This remote town of natural beauty and splendour has almost everything to play a perfect host for a wedding. With a panoramic view of the mountains and architectural mansions on the backdrop who would not like to indulge in a wedding affair like this. You ask for a palace like wedding affair, we say yes, you ask for a royal gastronomical journey during the wedding functions, we say a yes. Yes, Amar Mahal, Orchha gives you all that you require for a big fat Indian wedding to make it memorable. Amar Mahal has a truly awe-inspiring architecture, lush green gardens for all your wedding functions – mehndi, sangeet and the main wedding day. With the grandeur no less like the royals and the rich hospitality, to take your marriage wows, Amar Mahal is perfect as a wedding venue keeping in mind your budget. 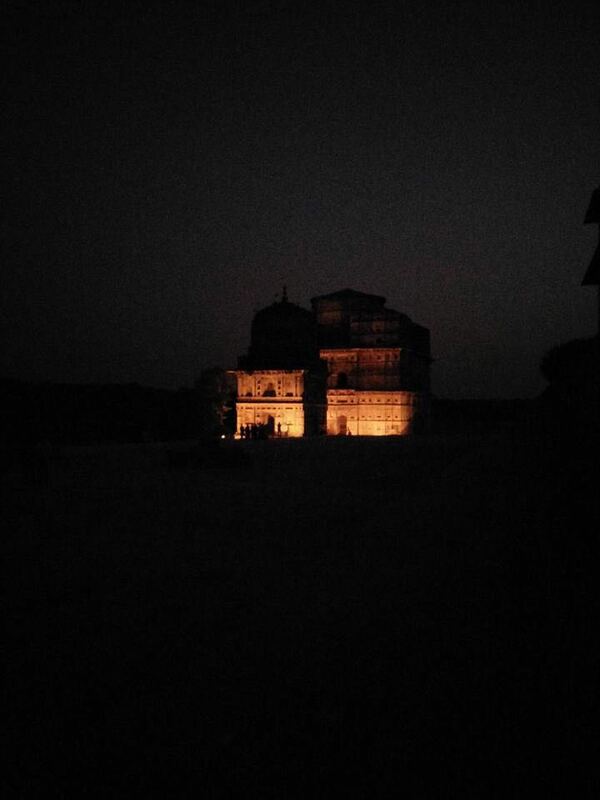 Travel to the lesser known secret town of Orchha for a unique experience every time. Marriage is the most beautiful beginning of any one’s life. It is when one takes a step further to fill his/her life with happiness, along with their life partner. This definitely requires a grand celebration! A pompous and grand wedding is the dream of everyone. There are people who believe in grand and marvelous celebrations and for them Royal weddings are best described to make their wedding graceful and memorable. India with its rich cultural heritage and spiritual traditions is the focal point for royal weddings. Orchha is such beautiful destination that fulfills all the desires of couples & sets a fabulous mood for a perfect wedding. This remote town in natural beauty and splendor has almost everything to play a perfect host to a wedding. Amar Mahal in Orchha is reminiscent of the royal past with its old world charm and is fused wonderfully with contemporary facilities. An experience that will hold you spellbound throughout your life. Royal weddings at Amar Mahal offer the couples a chance to take new vows in the ultimate royal setting. With a beady mix of traditions, sanctity and emotions, weddings at Amar Mahal add glitz and glamour to make it an unforgettable moment. The quality of the ambiance and surroundings is really to be experienced. 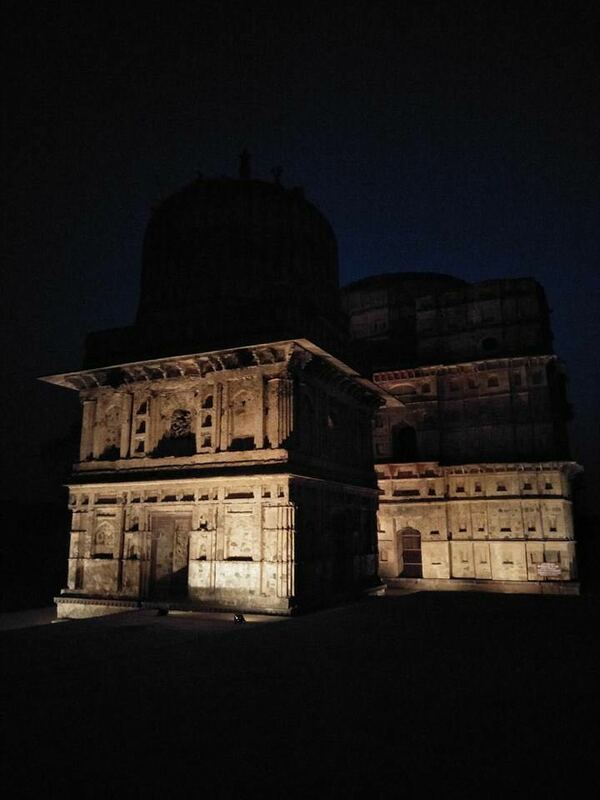 The world welcomed the new year in with spectacular shows, parties and enthusiasm, guest of Amar Mahal in Orchha had a spectacular night of celebrations set in the immaculately conceived ambiances in the slumber town of cenotaphs and temples. 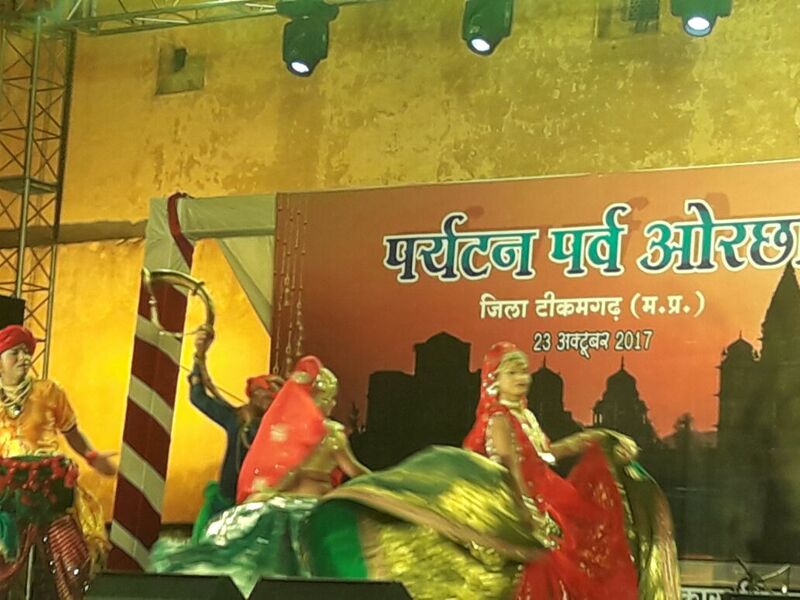 Set in the resplendent garden of Amar Mahal, the huge canopies played host to close conversations, while the open air DJ floor saw the guests let their hair down on the local beats as well as popular music from across the world . 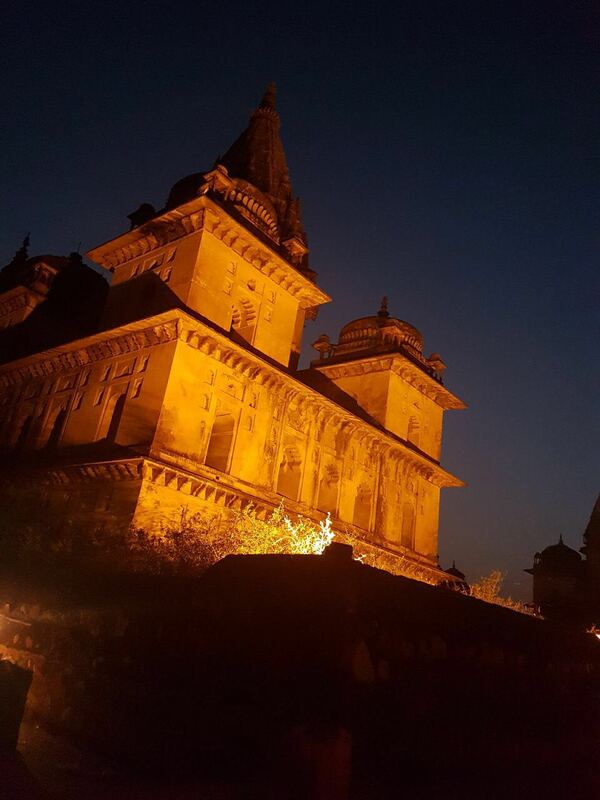 Soft lighting and pleasant surroundings allowed the guests of Amar Mahal Orchha to smoothly slip into the ambiances and enjoy the last night of 2017. The elaborate menu with succulent snacks and drinks added to the celebration of New Year that the guests shared their joy and satisfaction by appreciating the hosts. Marriage- a beautiful beginning in any one’s life. It is when one takes a step further to fill his/her life with happiness, along with their life partner. This definitely requires a grand celebration! A pompous and grand wedding is the dream of everyone. There are people who believe in grand and marvelous celebrations and for them Royal weddings are best described to make their wedding graceful and memorable. India with its rich cultural heritage and spiritual traditions is the focal point for royal weddings. Orchha is such beautiful destination that fulfills all the desires of couples & sets a fabulous mood for a perfect wedding. This remote town in natural beauty and splendor has almost everything to play a perfect host to a wedding. All your requirements of a premium banqueting area, state of the art audio-visuals, excellent outdoor-indoor catering services & perfect ambiance will be amply met here at Amar Mahal. The banquet covers everything from traditional Indian delicacies to the International gourmet cuisine. Our professionalism with the combination of creativity and passion ensures function to be well remarked and delightfully remembered by your guests. Besides, the garden area at Amar Mahal offers some perfect ambiances to celebrate your special evenings under beautiful starry sky. Amid the illustrious set up, ambient lighting and calming music, your guests are served best of the Bundelkhandi as well as continental delicacies from across the borders to leave an everlasting impression on your guests. Experience the best of royal settings for your special events!